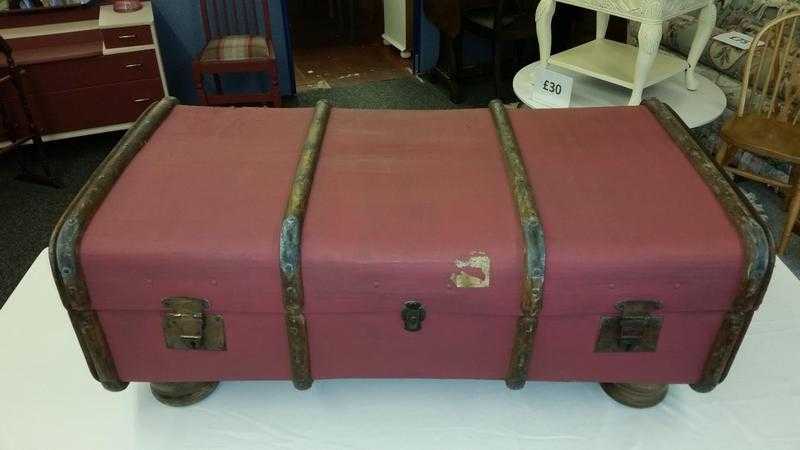 Vintage wood banded steamer trunk. Fully refurbished with bun feet and re-lined with quality fabric. Versatile & practical storage solution, ready for a new journey. Part of a larger 7 piece set available for £395 show in the last picture.